From the strictly regimented church bells to the freewheeling chatter of civic life, Renaissance Florence was a city built not just of stone but of sound as well. 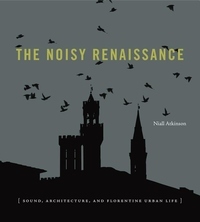 An evocative alternative to the dominant visual understanding of urban spaces, The Noisy Renaissance examines the premodern city as an acoustic phenomenon in which citizens used sound to navigate space and society. 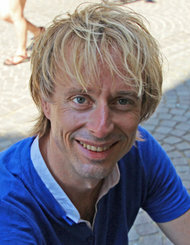 Analyzing a range of documentary and literary evidence, art and architectural historian Niall Atkinson creates an "acoustic topography" of Florence. The dissemination of official messages, the rhythm of prayer, and the murmur of rumor and gossip combined to form a soundscape that became a foundation in the creation and maintenance of the urban community just as much as the city's physical buildings. Sound in this space triggered a wide variety of social behaviors and spatial relations: hierarchical, personal, communal, political, domestic, sexual, spiritual, and religious. By exploring these rarely studied soundscapes, Atkinson shows Florence to be both an exceptional and an exemplary case study of urban conditions in the early modern period.